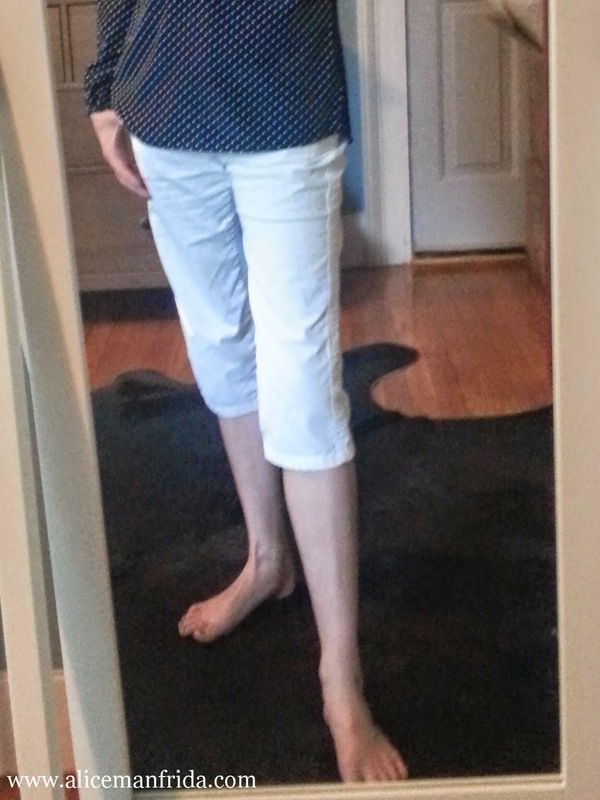 I'm feeling kind of preppy today in white capris and a navy top. Now all I need are some boat shoes and I'll be all set for a day on a yacht...well, boat shoes and a yacht. 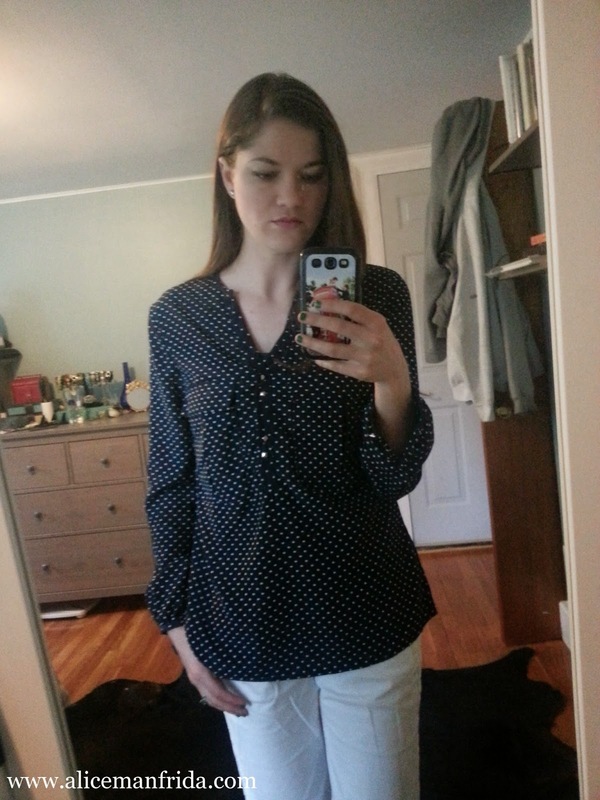 I really like this shirt but the buttons (or the button holes) are kind of stupid. 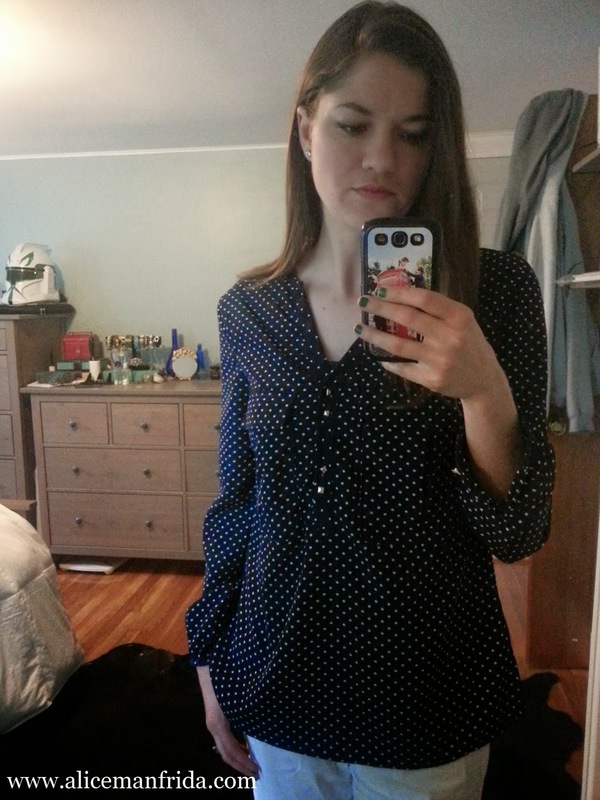 The buttons are kind of like tiny silver square studs, but they are rounded on top and are therefore slippery so the shirt pops open all the time even though it's a fairly relaxed fit. It looks funny if I leave it unbuttoned so I use double sided fashion tape to hold it together. I haven't been able to wear it for a while because I couldn't remember where I had put the tape but I found it the other day when I was organizing my closet! :) There is a button on each of the cuffs as well, but I leave them undone. My capris are a few years old but they are from Ann Taylor Loft. They are really comfortable and they have held up and stayed white for a long time. I think if you are going to buy white pants you should spend more money and get some that are well made with thick fabric so nothing shows through. As it turns out taking selfies of my white pants on my phone in my bedroom on a rainy day is basically impossible. Ha ha ha! 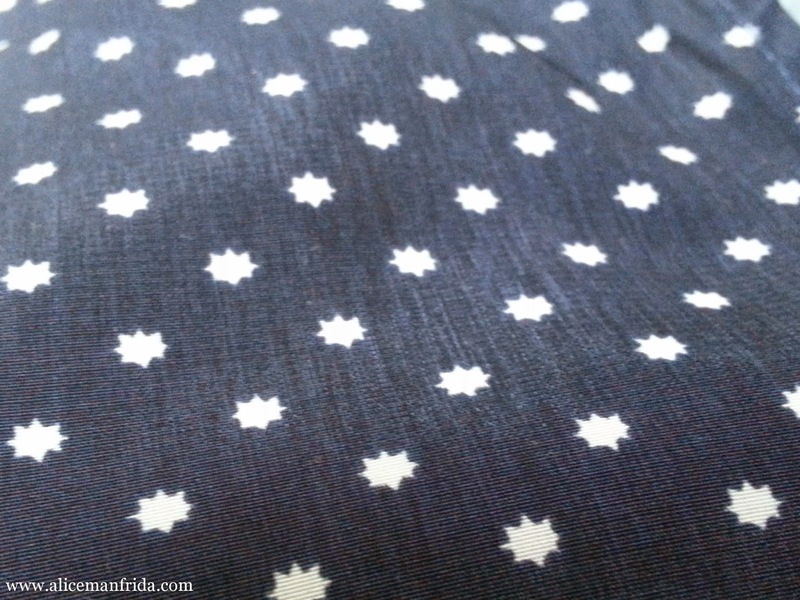 Here's a close-up of the pattern on the shirt. There are actually polka-dots along the collar and where the buttons are but the rest of it is actually covered in little star bursts. 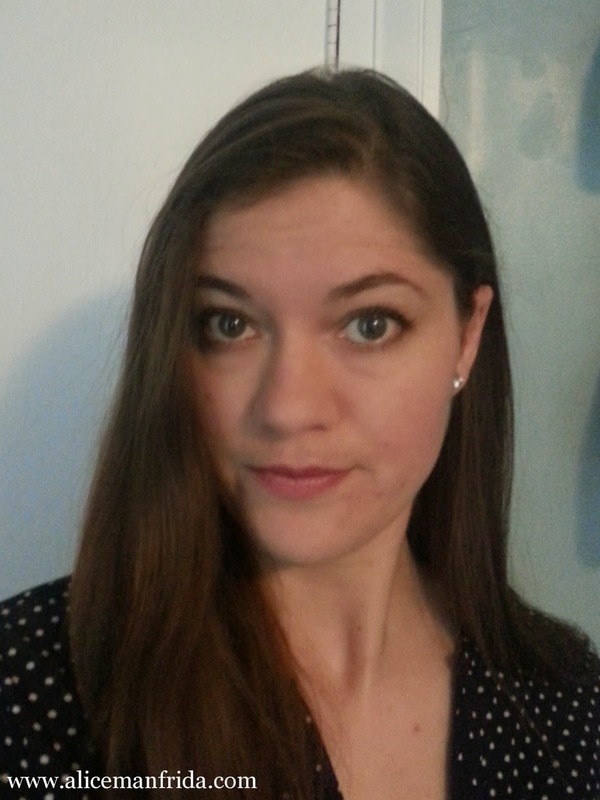 And here's a picture where I'm actually looking at the camera! I'm just wearing sparkly studs and minimal makeup with this outfit.